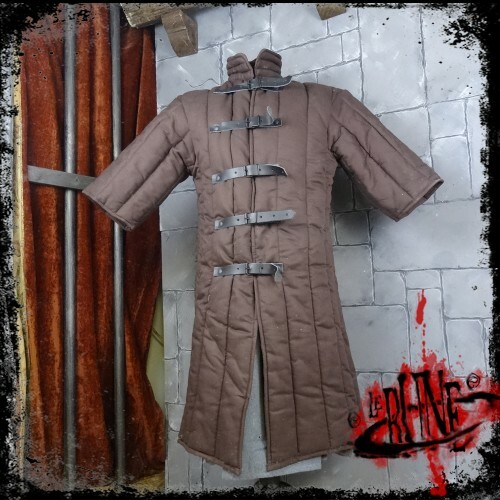 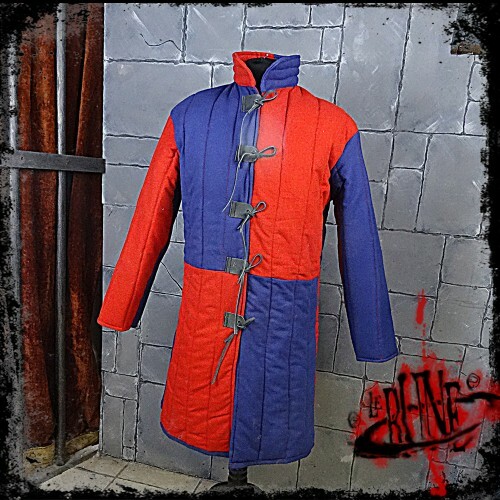 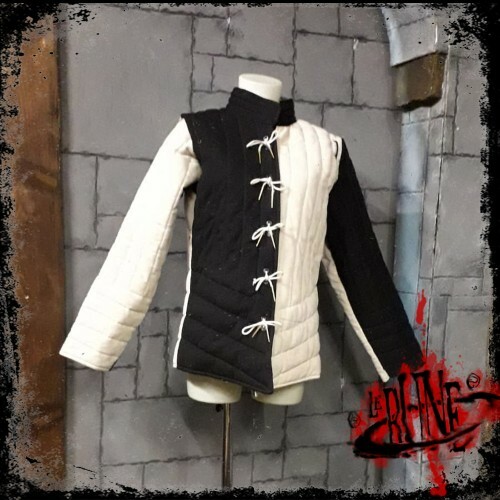 This is a simple gambeson with short arms and waist long, made in canvas cotton with a light pa.. 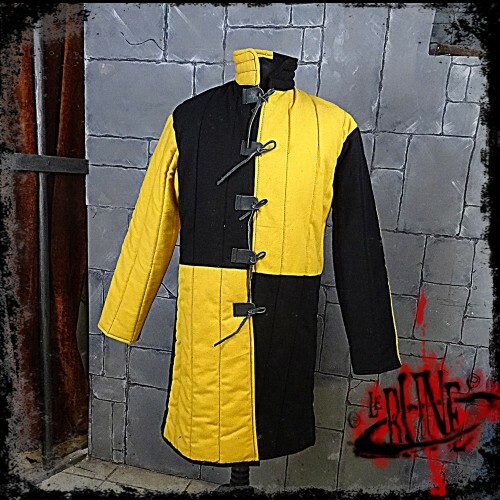 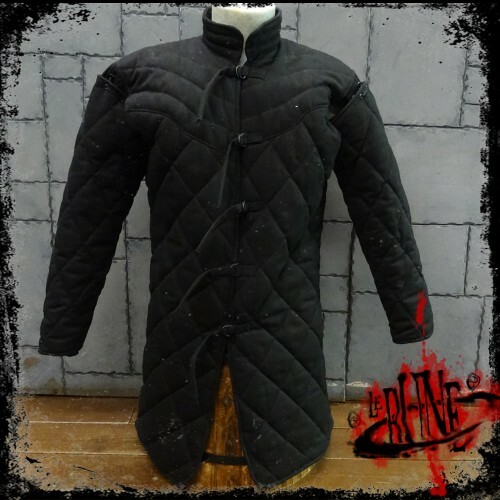 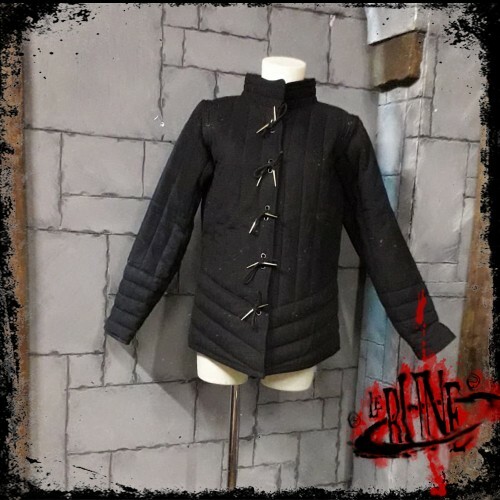 The Inigo gambeson doublet is a padded long-sleeve coat covering the torso from neck,.. 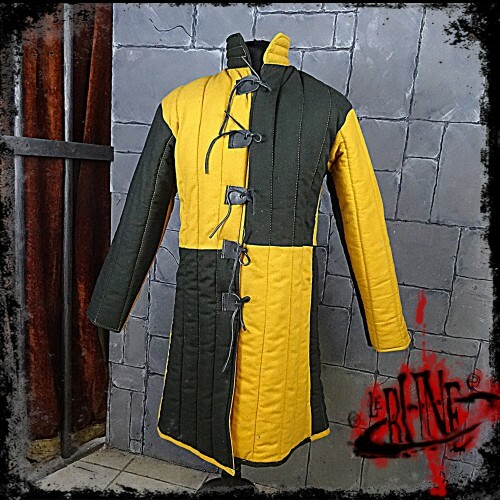 The Alexander gambeson jacket is an item you can use for many character types. 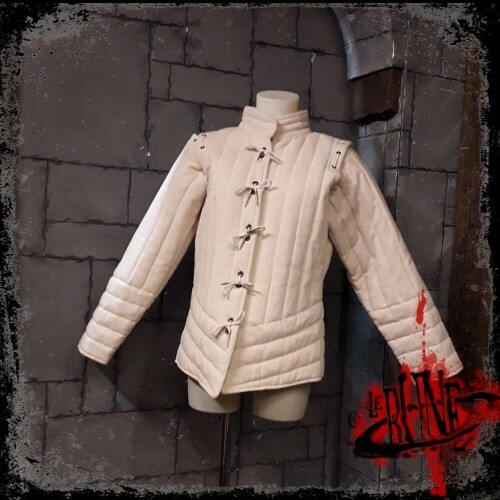 It comes in heav.. 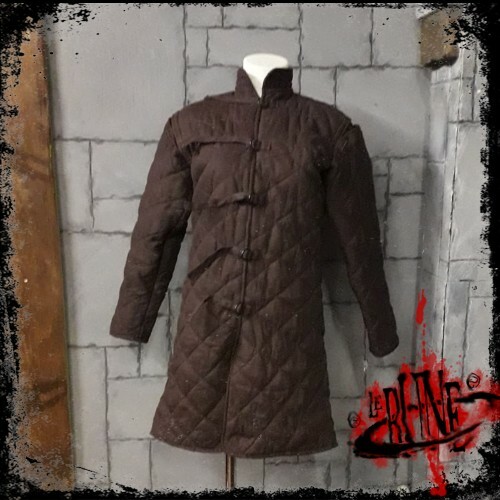 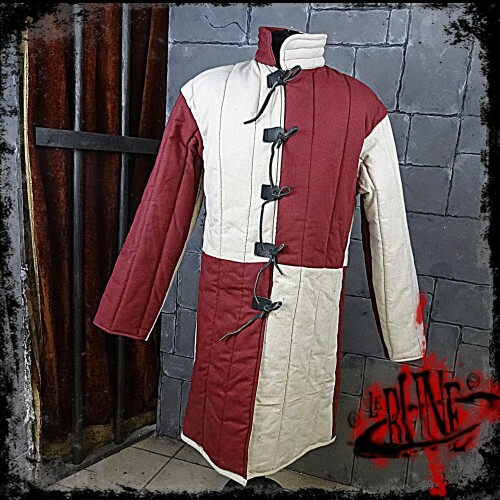 This historical gambeson is made in heavy canvas cotton, with heavy padding. 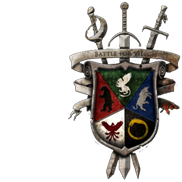 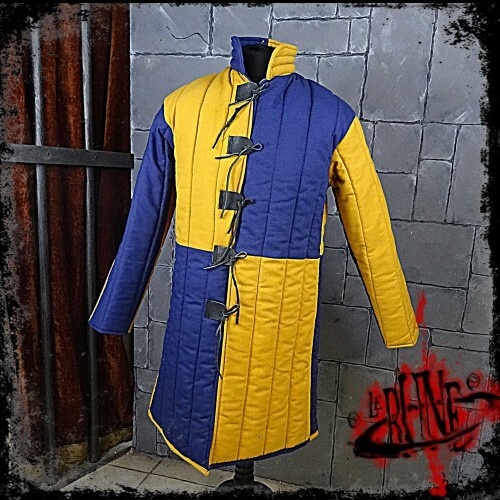 The gambeson comes clos.. 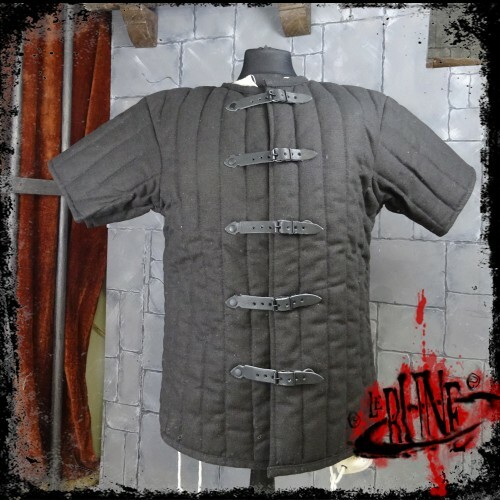 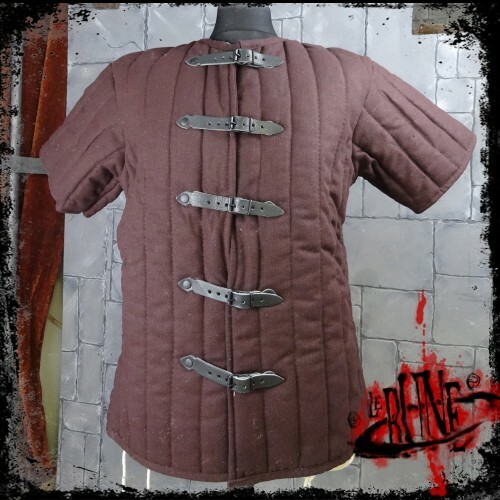 This gambeson comes in heavy canvas cotton, it has short sleeves and is knee-long. 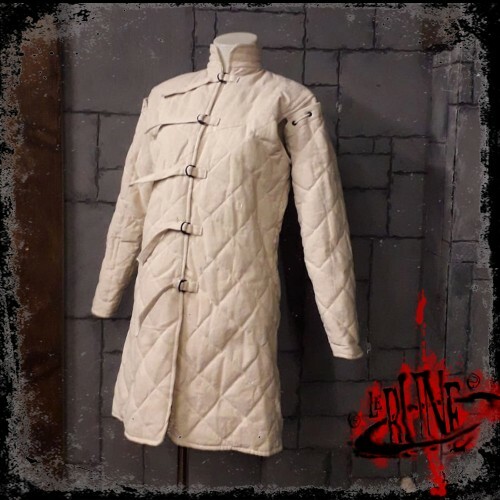 It closes with a ..